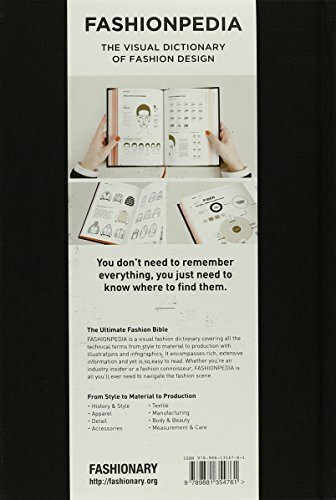 FASHIONPEDIA is a visual fashion dictionary covering all the technical terms from style to material to production with illustrations and infographics. It encompasses rich, extensive information and yet is easy to read. 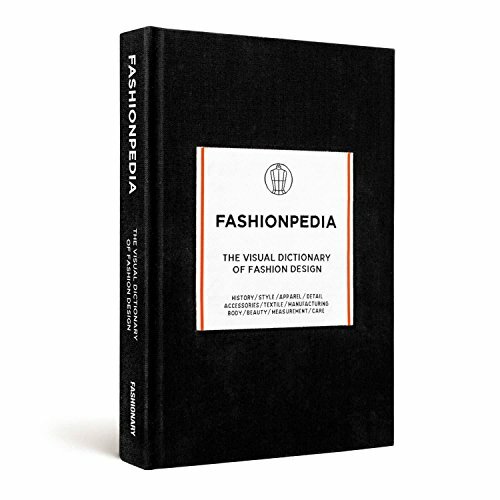 Whether you are an industry insider or a fashion connoisseur, FASHIONPEDIA is all you will ever need to navigate the fashion scene.A visual fashion dictionary covering all the technical terms from style to material to production with illustrations and infographics.